^ Shillington, John (2002). Grappling with atrocity: Guatemalan theater in the 1990s. Fairleigh Dickinson University Press. pp. 38–39. ISBN 9780838639306. http://books.google.com/books?id=KJyWMjI4pfgC&pg=PA38. ^ LaFeber, Walter (1993). 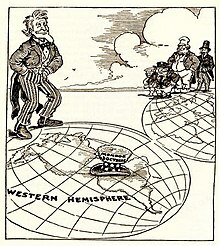 Inevitable revolutions: the United States in Central America. W. W. Norton & Company. pp. 77–79. ISBN 9780393309645. http://books.google.com/books?id=RqMp5TsWCqkC&pg=PA77. ^ Friedman, Max Paul (2003). Nazis and good neighbors: the United States campaign against the Germans of Latin America in World War II. Cambridge University Press. pp. 82–83. ISBN 9780521822466. http://books.google.com/books?id=qYeYaDs1xR4C&pg=PA82. ^ Fried, Jonathan L. (1983). Guatemala in rebellion: unfinished history. Grove Press. p. 52. ^ Smith, Peter H. (2000). Talons of the Eagle: Dynamics of U.S.-Latin American Relations. Oxford University Press. p. 135. ISBN 0-19-512997-0. Benz, Stephen Connely (1996). Guatemalan Journey. University of Texas Press. ISBN 9780292708402. Cullather, Nicholas (2006). Secret History: The CIA's Classified Account of its Operations in Guatemala 1952-54 (2nd ed.). Stanford University Press. ISBN 9780804754682. Forster, Cindy (2001). The time of freedom: campesino workers in Guatemala's October Revolution. University of Pittsburgh Press. ISBN 9780822941620. Gleijeses, Piero (1992). Shattered hope: the Guatemalan revolution and the United States, 1944-1954. Princeton University Press. ISBN 9780691025568. Grandin, Greg (2000). The blood of Guatemala: a history of race and nation. Duke University Press. ISBN 9780822324959. Handy, Jim (1994). Revolution in the countryside: rural conflict and agrarian reform in Guatemala, 1944-1954. University of North Carolina Press. ISBN 9780807844380. Immerman, Richard H. (1983). The CIA in Guatemala: The Foreign Policy of Intervention. University of Texas Press. ISBN 9780292710832. Jonas, Susanne (1991). The battle for Guatemala: rebels, death squads, and U.S. power (5th ed.). Westview Press. ISBN 9780813306148. Krehm, William (1999). Democracies and Tyrannies of the Caribbean in the 1940's. COMER Publications. ISBN 9781896266817. Loveman, Brian & Davies, Thomas M. (1997). The Politics of antipolitics: the military in Latin America (3rd, revised ed.). Rowman & Littlefield. ISBN 9780842026116. McCreery, David (1994). Rural Guatemala, 1760-1940. Stanford University Press. ISBN 9780804723183. Rabe, Stephen G. (1988). 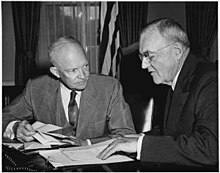 Eisenhower and Latin America: The Foreign Policy of Anticommunism. University of North Carolina Press. ISBN 9780807842041. Streeter, Stephen M. (2000). Managing the counterrevolution: the United States and Guatemala, 1954-1961. Ohio University Press. ISBN 9780896802155. Striffler, Steve & Moberg, Mark (2003). Banana wars: power, production, and history in the Americas. Duke University Press. ISBN 9780822331964.